Tips for a Happy New School Year! September on the academic calendar gives us all a fresh start. As the pace quickens with the opening of school, we greet new and old friends, new courses and professors, new ideas and textbooks and have an opportunity to make New Academic Year Resolutions. While the Croatian national team lost to France in the World Cup 2018 final, Croatians enthusiastically welcomed the team home to Zagreb. Below, Guest Blogger and Clinical Professor of Marketing Katherine Sredl, PhD, who is of Croatian heritage, draws a connection between Croatia’s support for its team and what fuels her research. The following is a Guest Blog from Quinlan’s Charles H. Kellstadt Chair of Marketing, Professor Clifford J. Shultz. Adding to the timeliness of the opening of the games is today’s announcement that North America (Canada, the U.S. and Mexico) will host the 2026 Games. 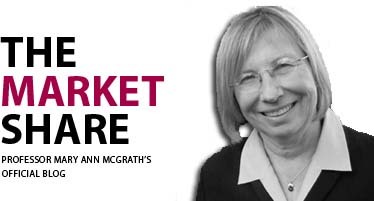 Visit Mary Ann McGrath's website at mcgrath-web.com.